“How Much Will My Northern Virginia Home Rent For?” It’s a question I’m asked many times each week–and in reply, I prepare a complimentary rental market analysis. 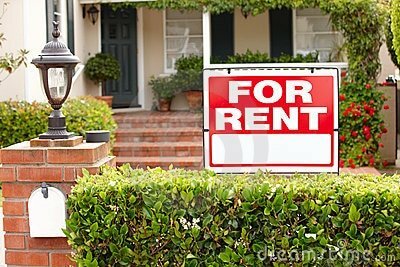 I offer this service as a courtesy to Northern Virginia landlords (as well as those trying to decide whether to become landlords) who are trying to determine how much their Northern Virginia home will rent for. 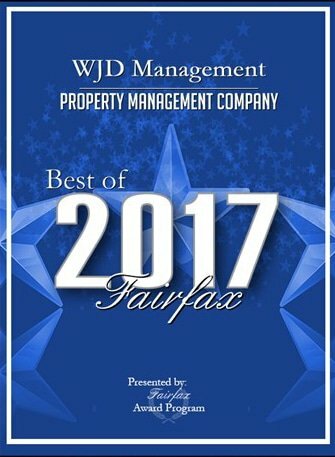 Since visitors to the WJD Management website have asked what goes into one of these local rental market analyses, I thought I’d give our readers the step-by-step process I use. There’s no magic to it, but it is time-consuming and sometimes takes a “feel” for neighborhoods and market demand. It’s a service I’m proud to offer homeowners in our region, and our determination of rent is objective and numbers-based. There are many considerations you have to ask yourself when searching for the right rental property. If you are going to get a management company to have somebody to help you look after your property, your proximity to the property will be less of an issue. I search the subdivision where your property is located for everything that has been listed over the past 12 months. This will include properties that are currently for rent, properties that have applications registered, properties that have rented, and listings that didn’t rent and have been withdrawn. You must understand where you stand relative to your competition. Sorting out the list by property type will help you see the advantages and disadvantages you can implement or you can improve with your property. We sort the resulting list by property type and eliminate those that are not comparable to your property. For example, if you have a townhome, I’ll eliminate garden style apartments, duplexes, single family detached houses, etc. One main thing renters ask is the story behind every home. The more bizarre, the more it will click. It is a plus factor to a home. We then further refine the list by sorting according to number of stories and eliminate those with fewer or more stories than your home. Renters look for homes that will definitely fit the size of their family. Bedrooms are also on the list of searches people look after a house. Bedrooms is the second most important factor in the decision to lease a property. We sort the list according to the number of bedrooms and eliminate those with fewer or more. The bathroom is one of the most considered rooms. It equals the kitchen in its aspirations. It would be like these: if you would have two properties of equal features, the one that has gussied-up bathroom is not only likely to be snapped up quicker, it’ll be able to sell faster. We sort the list according to the number of full baths and eliminate those with fewer or more. Then, I’ll sort according to the number of additional half-baths and eliminate those with fewer or more. Examine current status and prices. A must-know term should be the market’s current status and price. The rent to value can be a valuable guide and a requisite part of a thorough investigation of an investment opportunity. Next, we’ll take the refined list and eliminate the properties that are currently for rent, have applications and have been withdrawn, noting the prices of all of these. Determining assessed values is a good factor to give you the confidence and peace of mind that you are asking for/ paying the right amount of rent. It gives advices to what is going around the rental market, and gives idea of what people are looking for in a rental accommodation. We then do some research from the refined list. I’ll look at the assessed values, noting which listings are similar, more and less in value. The square footage of your property is a top consideration that people look after to, because of the size of their family, or whether it is because of their dream house. But not just renters, but everyone in the real estate world. It is a measure of any home’s value. Using the same list, we then look at square footage, noting which listings are similar to your home, which have more and which have less area. People prefer visuals to have some idea of what the property was like, it’s position and it’s calculated size. We look at virtual tours (where applicable) and determine if any upgrades are present in any of these listings. Determine length of time on market. Just like canned goods, property expires. It’s important that listings should always be fresh and updated. We look to see how many days each of these listings took to rent. Determine the property’s management status. Many properties are managed by real estate companies or direct agents. Coordinating with the person involved with the property would be an easy and legal way to do some transactions if needed. We look to see which if any are professionally managed, the assumption being that if they aren’t then they have been listed by a sales agent who may or may not have a handle on the rental market in that subdivision. Comparing assessed values, square footages, upgrades, days on the market and if the homes are professionally managed, we calculate an average of what they have rented for. And then I’ll have to implement everything on the market and compete with those on the same market. The final step is to reduce it by at least $25 so as to undercut the currently active competing listings for rent. People love freebies! But no, it’s not freebies. It’s just part of the marketing strategy. The lower your price in comparison with the competition, the more likely it is you’ll have your home rented out quickly. INFOGRAPHIC: Rent or Buy a Home?